Abstract: Well known for its magnificent performances and royal appearances, the king of unicycle SUV X8 can do everything for your city traveling. With Airwheel electric unicycle X8, you are going to travel gloriously in the city with the royal presence. Admittedly, it often happens that people go out with respirator and wait helpless in rush hour. In the hustle and bustle, people suffer from the declining life quality, for which many research organizations strive to find solutions. 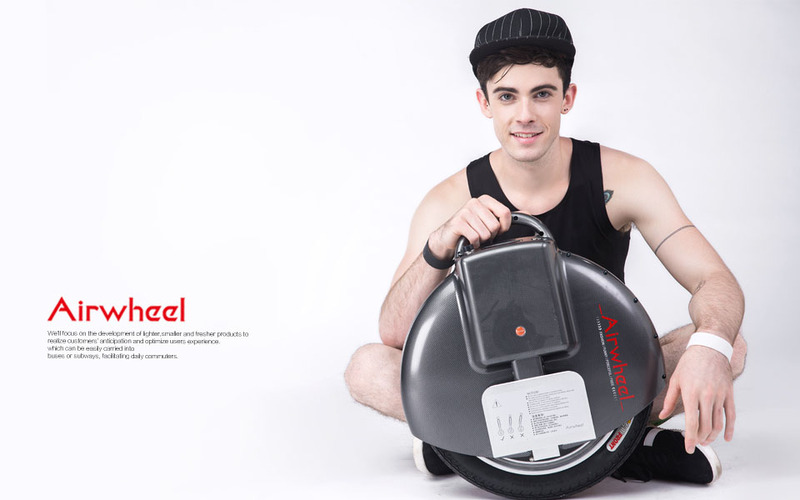 The invention of Airwheel electric self-balancing unicycle follows the social trend for improving life quality and today we can learn about the revolutionary transport in Airwheel unicycle series- Airwheel X8. Why is Airwheel X8 electric self-balancing unicycle so admirable? The first reason is its unprecedented 16-inch wheels. Accordingly, the unicycle body is also large and wide in order to match the large wheels, and the entire scooter looks brilliant and cool. The wheels of premium quality is advantageous for its wider contact surface and 3.8 times road gripping capability, which effectively shortens the braking instance, and together with the unicycle design, makes the single-wheeled electric scooter stable and safe. Therefore, it is an impeccable choice for people who are interested in performing stunts. 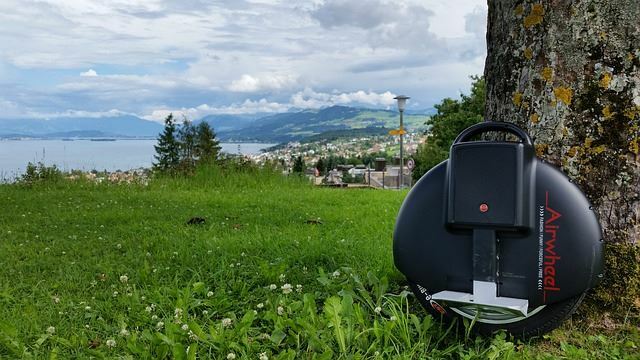 If you are planning for a wild and crazy traveling, Airwheel X8 single-wheeled self-balancing scooter will definitely be your impeccable choice for its light-weighted body made from high-tech PC material, strong resistance to abrasion and deformation, which makes your traveling passionate and close to nature. Airwheel electric self-balancing unicycle, as its name shows, the single-wheeled intelligent scooter will be powered by electricity, which is considered as green energy for its zero emissions and harmlessness. Therefore, Airwheel electric unicycle is the prior choice for green transportation. Besides, the application of Sony original lithium battery to X8 makes it a transport that is environmentally-friendly, harmless and safe. What’s more, the battery can be cycle-charged 1800 times, and be fully charged within 90 minutes. Surprisingly, the electric scooter can run a non-stop journey of hundreds of miles with consumption of one kilowatt-hour. Apart from X8, all the Airwheel series electric scooters are equipped with high-quality Sony battery. The wildness of X8 does not equal to madness, instead, its updated intelligent system which can response within 3 seconds, ensures stable performances as well as go-as-you-please handling. And the multiple protection mechanism like speed limit, energy guarantee and slant protection all contribute to the safety and embodies the intelligence of Airwheel X8 electric self-balancing scooter. Be the king of royal unicycle rider with Airwheel X8!